Teaching – About the Silent Eye, the course and methods. The Enneagram – What is it and how do we use it? The People – Who are we? The First Time… What is it like to attend your first workshop? A Week of Sorrows is a cycle. A Fortnight of Sorrows is a bi-cycle. The three falls of Jesus echo the three deaths of Merlin. The haloed female figure may not be Jesus’ mother. Joseph may be shown hooded for a reason. The robe draped cross resembles the mast and sail of a boat. The hooded figure may not be Joseph of Arimathea. 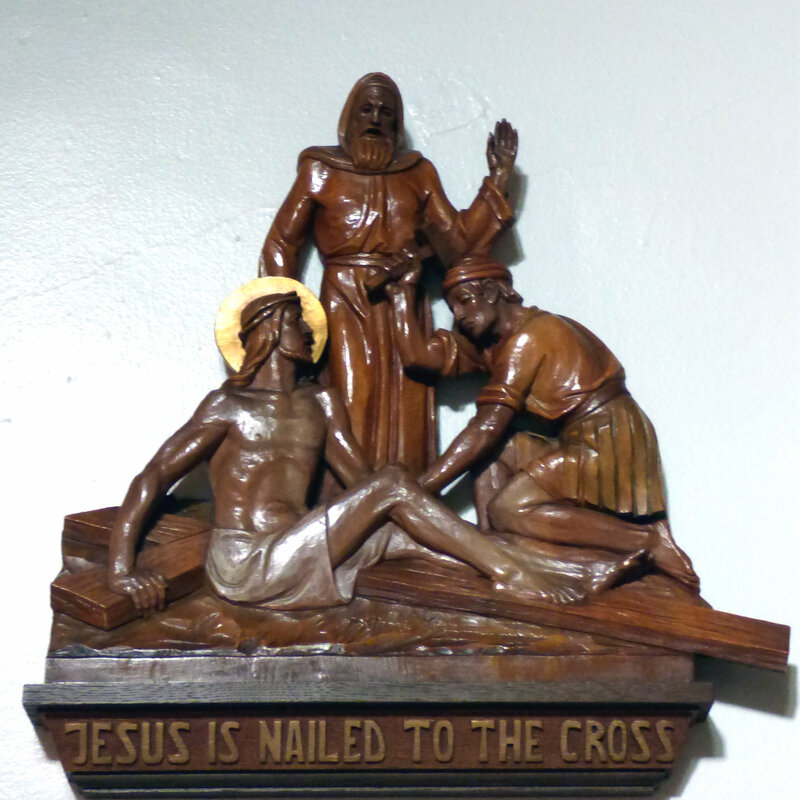 The figure helping to carry the cross may not be Simon of Cyrene. The figures may depict aspects of the personality.